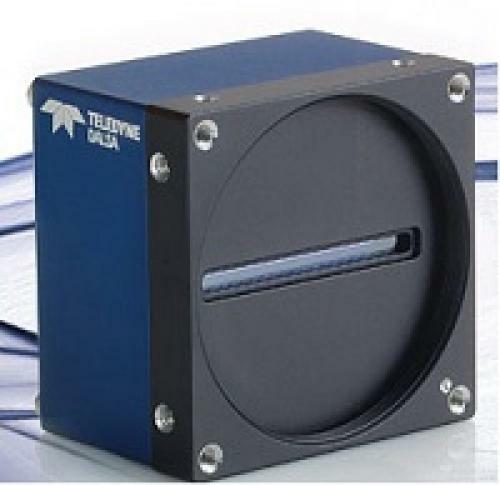 Built for Maximum Throughput with CMOS Line Scan Teledyne DALSA delivers the highest line rates in the industry, with 4k models reaching 100/200 kHz. Our unique CMOS line scan architectures include dual line scan monochrome to deliver a 2x increase in responsivity, as well as bilinear, trilinear, and quadlinear color designs to maximize color performance. Large full-well capacity maximizes signal coverage for bright light, while low read noise ensures superior signal-to-noise at low light. Our CMOS image sensors' high dynamic range, combined with on-chip ADC for high speed, gives the Piranha4 cameras unprecedented performance. High Performance Color, Advanced Features, and Programmability The Piranha4 cameras offer advanced features such as sub-pixel spatial correction, areas of interest (up to 4 at a time) to reduce data processing and simplify cabling, as well as dual-line area mode to double line rate, HDR mode, shading and lens correction. The Piranha4 is built for the real world with features to ease system integration. The advanced GenICam compliant user interface makes it easy to set up and control camera parameters such as exposure control, FFC, white balance, gain, test patterns, diagnostics and more.